Landscape Use: Informal background hedge of screen, small multiple-trunk patio or streetscape tree, filler plant. Form & Character: Large evergreen shrub to small tree, formal, dense, mesic plantings. Growth Habit: Moderately upright and rounded to 25 feet with less than equal spread. Can be maintained effectively at 6 to 10 feet. Foliage/Texture: Opposite, thick, glabrous, waxy, ovate, leaves to 4 inches long, prominent midvein, prominent stem lenticels; medium texture. Flowers & Fruits: Musty smelling small white flowers in panicle clusters; fruits small black, waxy globose to 1/4 inch long and clustered. Seasonal Color: White flowers in late spring and early summer. Fruit add a subtle accent color in fall. Light: Partial sun best. Avoid western sun as is prone to trunk sunscald in Phoenix. Pruning: Best pruned in early to mid summer after bloom. Can be pruned in any manner. Sometimes sheared as large topiary. Sever renewal pruning to the ground works well to rejuvenate old glossy privet hedges. Propagation: Seed (naturalizes in the southeast US), softwood cutting. 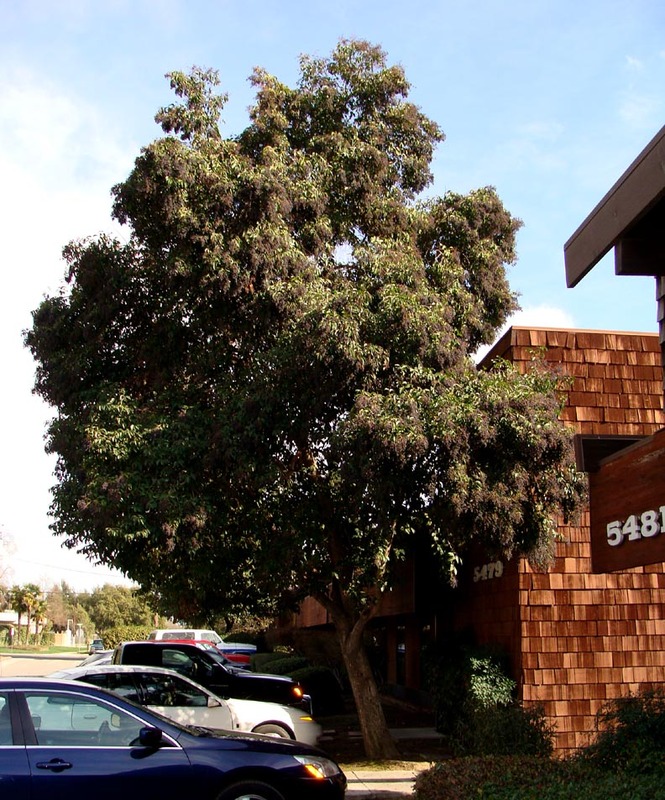 Additional comments: Currently (and sadly), an old-fashioned and neglected landscape plant from the by-gone era of ca. 1940-1960 landscapes designs. Like L. japonicum, this was a once much used plant across the southern half of the United States. It makes an excellent small tree or large informal hedge. 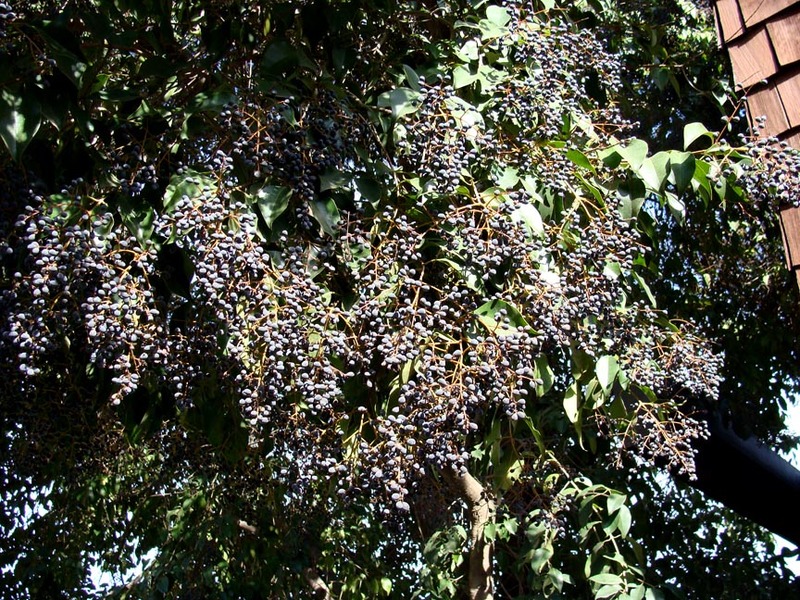 Glossy privet fruits have medicinal value. 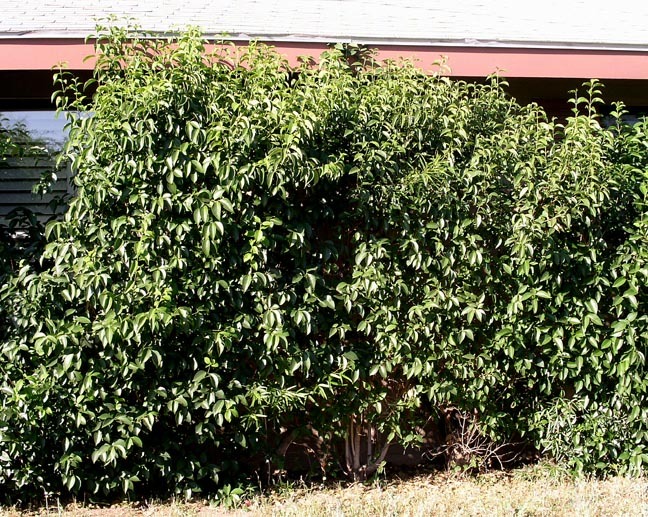 Invasive Alert: Glossy privet has become an invasive weed in several regions of the world, although this is not the case in Arizona.